Professional wrestler Colt Cabana has filed a lawsuit against former World Wrestling Entertainment star and mixed martial arts fighter CM Punk, seeking $1.2 million for legal fees. Cabana, whose real name is Scott Colton, filed the lawsuit against Punk, whose real name is Phillip Brooks, in Cook County Circuit Court accusing him of fraud and breach of contract, according to the Chicago Sun-Times. At issue is $513,000 in legal expenses associated with a recent defamation lawsuit filed against both Cabana and Punk in which, according to Cabana, Punk agreed to help pay but then refused to do so. "Brooks acted with fraud, malice and oppression toward Colton, with the deliberate intention of causing Colton harm," stated the lawsuit, the Sun-Times reports. Cabana is seeking $1.2 million in damages, which includes $200,000 in general damages and $1 million in punitive and exemplary damages, according to the Sun-Times. In November 2014, Punk was a guest on Cobana's "Art of Wrestling" podcast not long after the former world champion had left WWE. The two had been good friends for years, with Punk even name-dropping Cabana during his infamous 2011 "Pipe-Bomb" promo on an episode of "Raw." Punk said on the podcast episode that he left WWE for multiple reasons, including alleged poor medical treatment by WWE's Dr. Christopher Amann. In response to the widely listened to podcast episode, Amann filed a defamation lawsuit against both Punk and Cabana. "The false statements and implications concerning Amann in the podcast are highly offensive in that they accuse Amann of a gross lack of integrity as a medical doctor, an inability to perform his professional duties as a medical doctor, and in placing the financial interest of his employer above life-threatening health conditions of his patients," stated the complaint, as quoted by Sports Illustrated. In June, a Cook County Circuit Court jury found Punk and Cabana not guilty of defamation, with legal analyst Michael McCann of Sports Illustrated reporting that a key factor was Amann's failure to prove that the podcast episode had harmed his career. "WWE has not only continued to retain Amann, but it entrusts Amann with high-level responsibilities that depend on him having sound judgment," wrote McCann. "In addition, attorneys for Punk raised questions about the quality of Amann's adherence to patient confidentiality and the manner in which he distributed medicines to fighters. Such questions were designed to lead jurors to regard Amann as less sympathetic and more blameworthy." 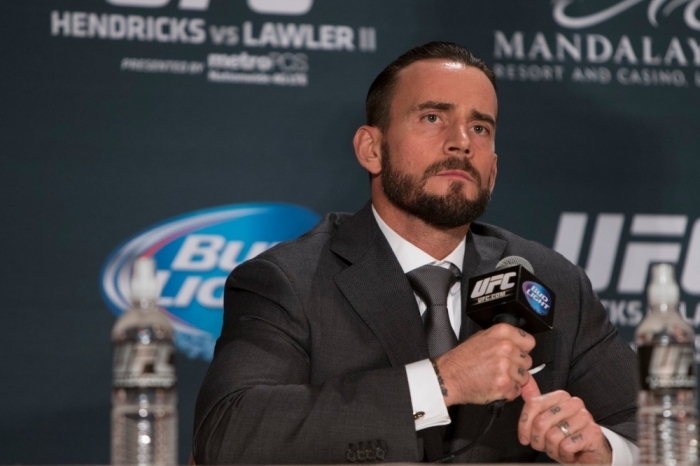 Wrestling Star CM Punk 'Never Ever' Returning to WWE?